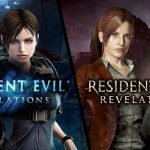 When the dust settles, and everyone has finished Revelations 2, I think it’ll be remembered as episodic gaming done well. Episode four, Metamorphosis, closes the book on this particular story, but leaves plenty of wiggle room for a follow up. It leaves a few too many questions unanswered, but is also has a reasonably satisfying conclusion. Claire’s chapter is over before it gets going, and merely leads as a precursor to the ending of the real story and closure on hers; but it also confirms Moira’s fate one way or another. Speaking of fates, despite its short run-time (Claire’s part can be completed in around twenty minutes, maybe less) it hits enough story beats, and means you go into Barry’s chapter a little more aware of what’s going on. 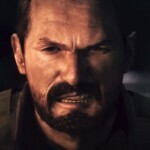 This actually creates an inherent problem, though, that is exacerbated through the journals you find littered when playing the final chapter: the self-awareness that Capcom showed ebbs away, and Barry appears gleefully unaware of what is going on, despite you having him pick up and read information that makes it abundantly clear what’s happening. And it wouldn’t be so bad if there hadn’t been such restraint shown early on, but picking up multiple books that explain what the protagonist is doing, as well as their motivation, then having Barry repeatedly confused as to what is happening is jarring, to the point that it only dawns on him in the scene that precedes the credits. 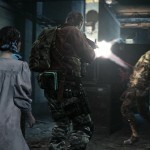 It’s Resident Evil silly, whereas before it had only been video game silly. Metamorphosis also runs out of ideas towards the end, recycling enemies and giving up on any new weapons in favour of hitting you with previous bosses, and a few timed sections. It’s the shortest of the episodes, too, but that doesn’t matter too much as it doesn’t feel artificially lengthened. The environments are all fresh, but that’s thanks to Claire/Moira and Barry/Natalia being in completely different parts of the island. While there’s nary a new mechanic in sight, there are some interesting things that might bare repeat playing. In Claire’s chapter there’s a button that changes a mechanical sluice position. I knew when adjusting it that it’d effect the Barry campaign, and had second thoughts and changed it back, trying to out-think the devs. As it turns out, it does exactly what you’d think, but due to my decision, I don’t know what would happen if I switched the two sluices and explored there as Barry. Of course, Raid Mode is what you’ll end up playing as time goes on – and it’s an absolute blast. 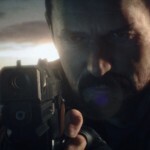 Suiting up as your favourite character and picking weapons, abilities (passive and active) and hitting the environments from Revelations 2 (and various other Resident Evil titles) removes all the tension and replaces it with balls-to-the-wall action. In a game that’s heavy on the gunplay anyway, that might seem a little odd to say, but Raid Mode is a pure, arcade-based third person shooter mode, that could happily be a game in its own right. On top of the standard action, you’ll unlock weapons and skills as you progress, leveling up your avatar and turning them into a tank. And you’ll need to, as the missions get difficult fairly quickly, especially the daily challenges. 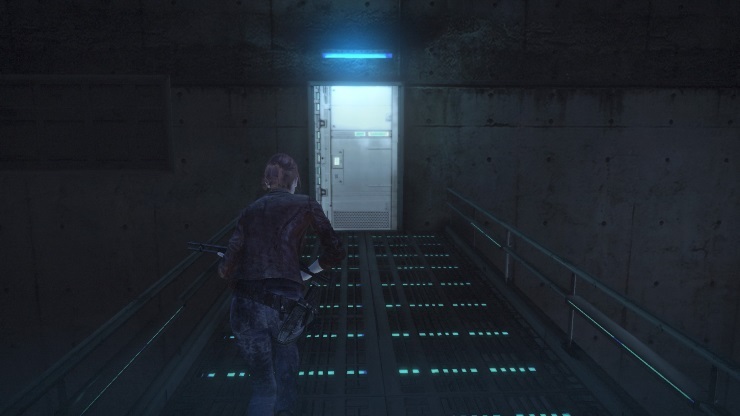 At the time of writing, today’s challenge just handed me my arse, and it’s good to know there’s challenge if you want it, because Revelations 2 isn’t a hugely difficult game. Aside from boss encounters, I don’t recall dying more than once aside from the final episode. There’s a chest on a ledge during a timed escape, and such is the awkwardness of the platforming (and I hesitate to call it that), I died three times before giving up on it altogether. 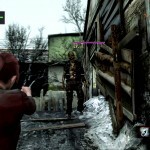 Throughout my time with Revelations 2 I didn’t encounter any bugs or any particularly awful AI; until episode four. 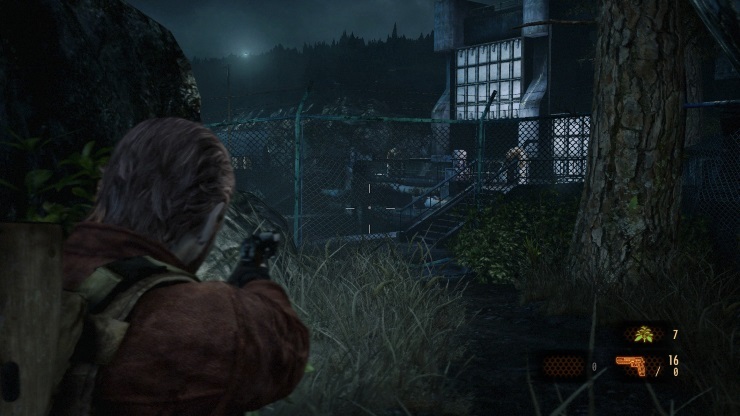 In one of the sections that require Natalia’s small form to get through a hole, the undead guy simply ignored me, despite me actually walking into him repeatedly and trying to lure him into a position where I could switch to Barry and kill him. 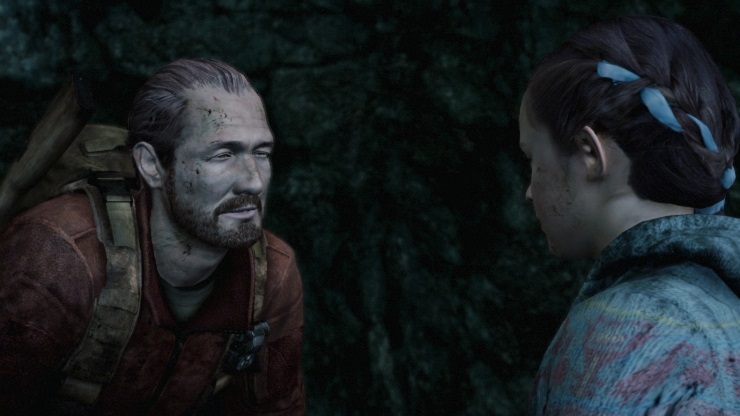 It’s worth mentioning that Revelations 2 also contains two bonus episodes. One sees you (predominantly) controlling Natalia and is stealth based, where the other has you at the helm (so to speak) of Moira. The strange thing is that Moira’s bonus episode directly ties into a key point that is unresolved at the end of episode four. In gameplay terms, it’s pretty much an alternative take on Raid mode with some story on top, but it opens with a vital piece of information that is otherwise left hanging, and closes with yet another key piece of the puzzle explained. Apart from just shooting enemies, you also have to collect supplies and hunt animals (snakes, rabbits, and spiders). I’d heartily recommend playing the bonus episodes after you’ve completed the story. All of these oddities are minor complaints, and as a whole package, Revelations 2 is genuinely exciting and fun to experience. The shorter finale isn’t a new thing with episodic games, but there are a few unexplained elements that I’d liked to have seen fleshed out, and the nature of the ending (which I obviously won’t spoil here) may be considered a cop-out. Revelations 2 clocks in at around ten hours all told (not including Raid Mode), but I can honestly say I had fun for almost all of the time spent with it. It’ll be interesting to see if Capcom stick with this model for the game, because I truly feel like it has worked. 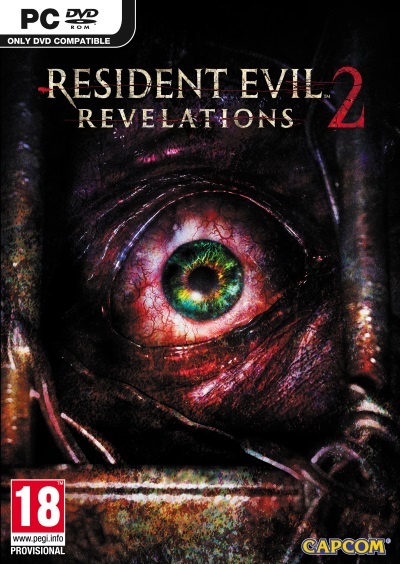 As a long time Resi fan, Revelations 2 gets a big thumbs up. Read our episode one, episode two, and episode three review. Runs out of ideas a little.